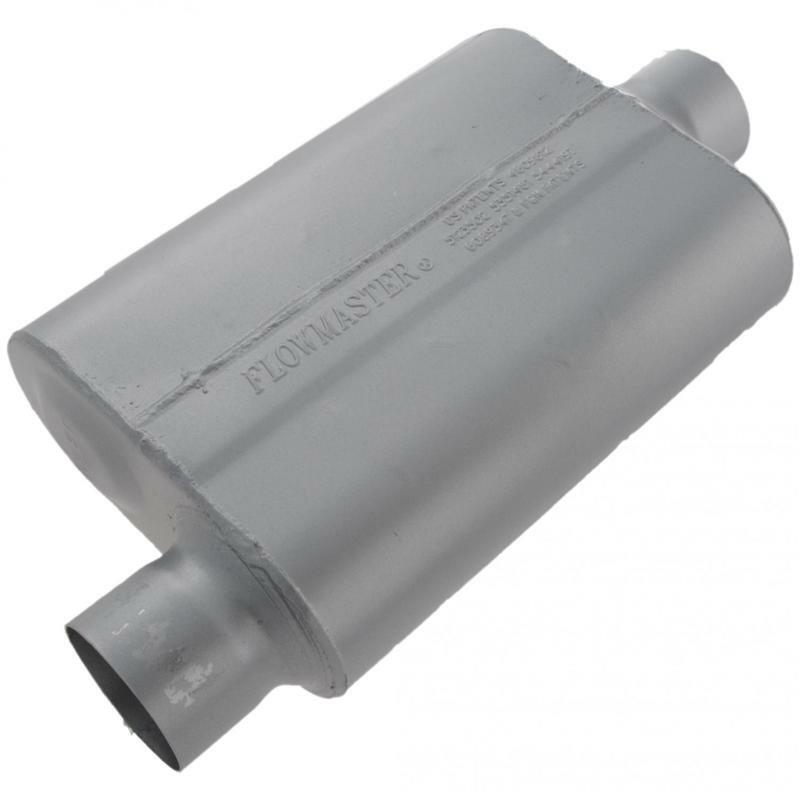 Flowmaster Performance Muffler - 40 Series Original - Dezod Motorsports Inc - Home of the automotive performance enthusiast since 2002. The Original 40 series muffler delivers an aggressive exterior and interior tone. If you’re looking for that original Flowmaster sound this is the muffler is for you. Constructed of 16 gauge aluminized steel and fully MIG welded for maximum durability.